Light spheres are fascinating objects. 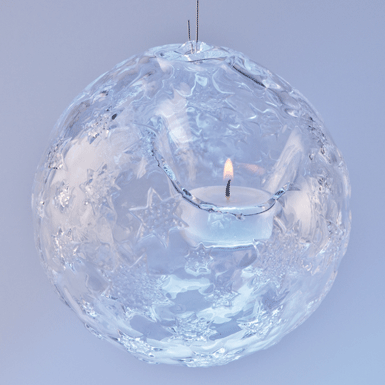 The stars on this glass ball produce magical light effects on the walls. Incl. suspension spring and tealight candle.